A study of the Protestant people of Ulster and an attempt to explain a community which many in Britain regard as impenetrable and intractable. It tells their story with humour and with insights born of the author's upbringing in the Loyalist stronghold of North Belfast. For generations, men and women of Ulster have proclaimed a will to fight, to remain separate from the rest of the Irish nation, and for many years they retained their position as social and economic superiors to their Roman Catholic compatriots. Every summer they parade their banners and flags, and march the streets of the province to the sound of flute and Lambeg drum, playing Loyal songs to loyal crowds, proclaiming their allegiance to the United Kingdom. 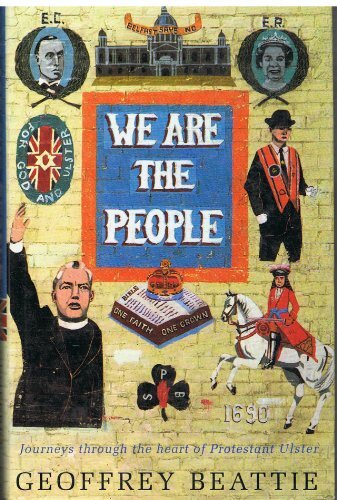 This book in an attempt to get under the skin of the Protestant people of Ulster and explain a community which many in Britain regard as impenetrable and intractable. It tells their story with humour and with insights born of the author's upbringing in the Loyalist stronghold of North Belfast. The book contains interviews with known terrorists - childhood friends of the author - obtained inside the Maze and Maghaberry prisons.